Bobrisky is set to have a swell birthday time. 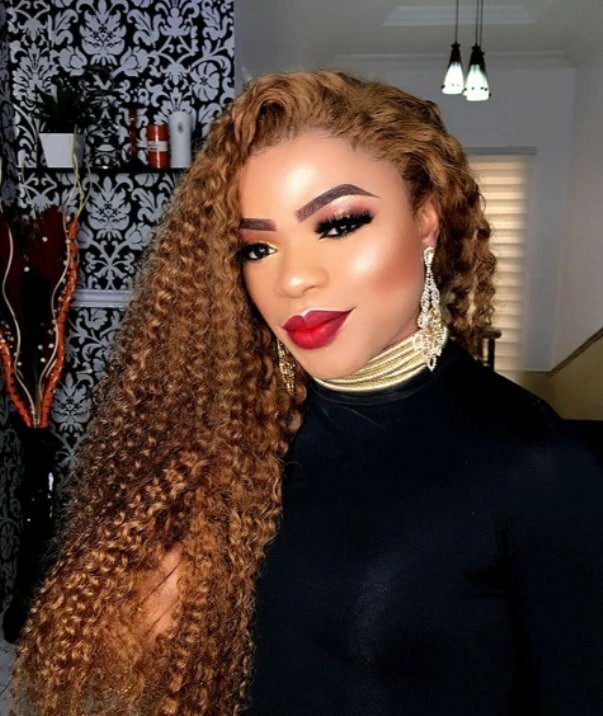 Popular cross dresser, Bobrisky, will turn a year older this month and it has just been revealed that he will be celebrating in London. According to a report by Information Nigeria, the cross dresser will be hosted by show promoter, Smade. Well, one might wonder how the host intends to make his money. Since he is hosting the cross dresser, it means that ‘shim’ wouldn’t be spending a dime. All he needs to do is to go there with his friends and have fun. It has been revealed that a meet and greet session has been arranged for the cross dress. They will hit the club later, where the male barbie will make a special appearance. The cross dresser will be paid for the special appearance, since he will be drawing crowd to the club. Happy birthday in advance to the baddest himself.